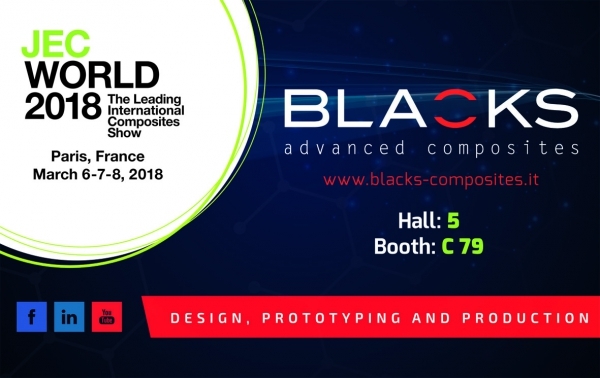 Following the exciting 2017 edition, Blacks is going to fly once more to Paris in order to participate at next JEC World, the largest and most important event dedicated to the composites materials industry. An appointment for over 40,000 professionals looking for innovation, new partnerships and ideas on the future of composites, the JEC is for us an opportunity to reconnect with peers, make new connections, consolidate valuable collaborations and succession of new suggestions. We shall be happy to welcome you to our stand for a meeting or for a greeting!